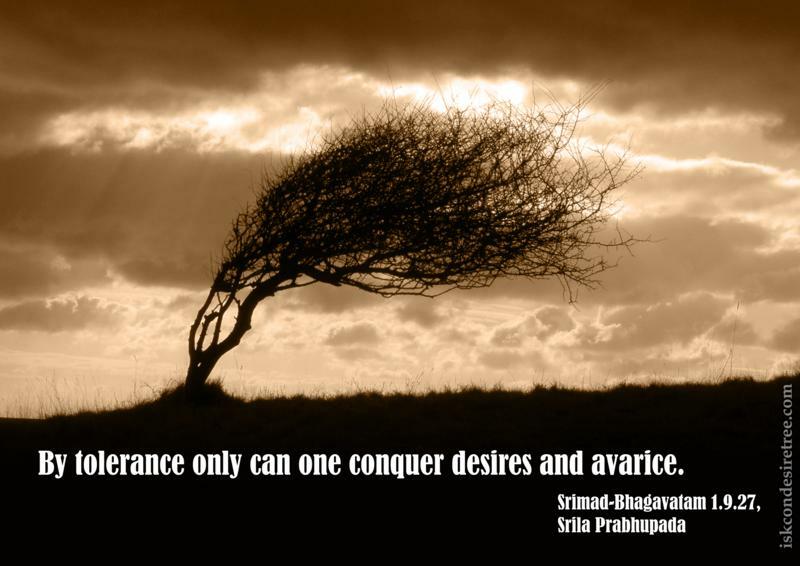 By tolerance only can one conquer desires and avarice. 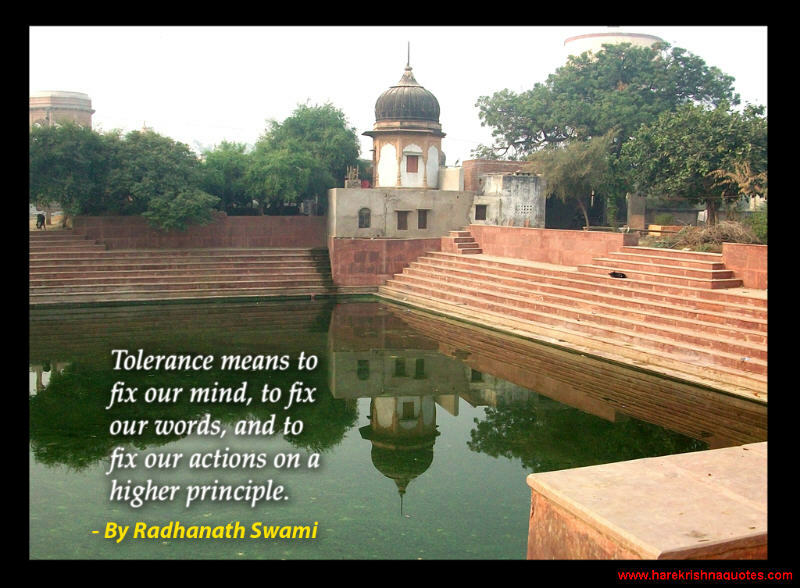 Tolerance means to fix our mind, to fix our words, and to fix our actions on a higher principle. 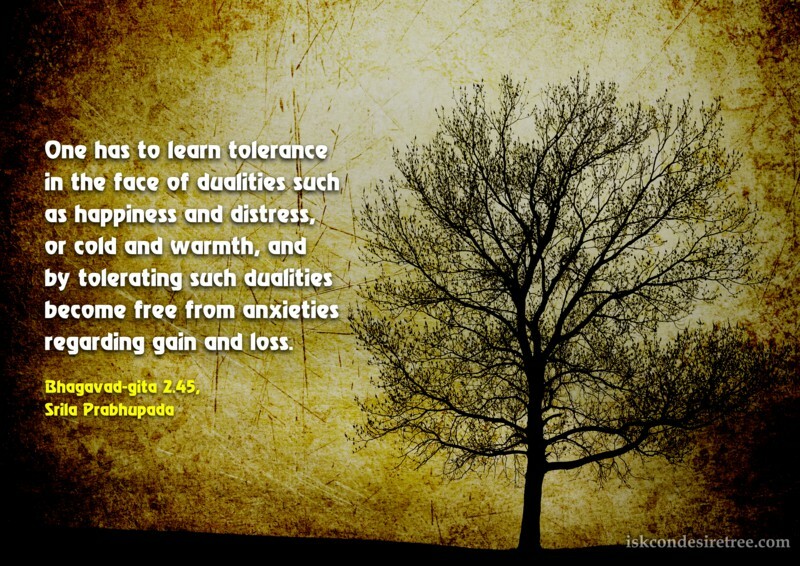 A Vaisnava is personally tolerant for the benefit of others. When he does not show his prowess, this does not mean that he is lacking in strength ; rather, it indicates that he is tolerant for the welfare of the entire human society.